Sofitel’s MyBed will soon feature on select Hainan Airlines long-haul flights. Chinese carrier Hainan Airlines has signed a deal with AccorHotels to install the Sofitel ‘MyBed’ product across its elite Business Class cabin. Adjusted from the onground hotel experience in order to cater to passengers in the air, the deal will see waist cushions, bed sheets, duvet, blankets and full-size pillows converted to an air seat format which, when fully reclined, will make a similar bed concept for those at the front of the aircraft. Since its debut, Sofitel has sold over 55,000 Sofitel MyBed product through its online boutique. Hainan Airlines operates out of two hubs in China – Beijing and Haikou – with a secondary hub in Xi’an. 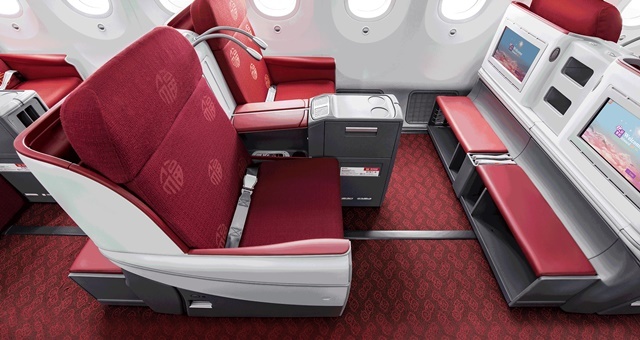 In 2018, the carrier was ranked eighth among best global airlines and topped the list for best Business Class product. The new Sofitel MyBed experience will be available on selected long-haul services departing from Beijing, Haikou, Changsha, Shenzhen, Guangzhou, Xi’an, Shanghai, Tianjin, Chengdu and Chongqing. AccorHotels Greater China Chairman and CEO, Gary Rosen, said the company was pleased to be partnering with Hainan Airlines to offer the Sofitel product to its guests. “Now, guests from around the world can bask in luxurious comfort with the chic Sofitel MyBed in the air,” Rosen commented.